Art students, professional photographers, and designers in the Washington D.C. area rely on Image Impact Inc. in Rockville, Maryland for large format prints, image enhancement, and finishing work. We offer one-week turnaround times (or sooner when needed) for all of our services, which is why we are your resource for satisfying image development and custom framing needs. 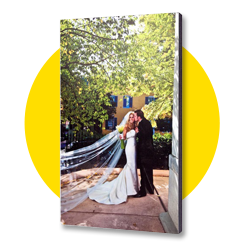 Working artists and local businesses rely on Image Impact Inc. because we specialize in providing high-quality photo printing in large formats. When you need a product that's beyond a standard size, trust our technicians to meet your needs. When you bring in an image for printing, our staff members can enhance the quality with digital editing tools. Whether you need certain tones highlights or older images restored, our experts can improve your images with Adobe Photoshop™ and other industry standard tools.